Recipe calling for Balkan donkey cheese? Try manchego instead, says this frugal food guide. Of course, part of the fun of eating freshly grated black truffle or sturgeon caviar is the luxury of it. However, some of these suggestions can turn special occasion dishes into a more regular indulgence you can replicate at home. Whose to say you can’t have tuna tartare on a Monday night? Clearly the more economical option will never truly replicate the original, but sometimes it can come close—for instance, vanilla essence instead of vanilla beans. 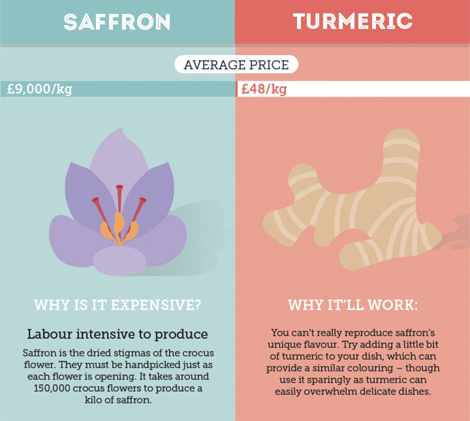 However, even QuickQuid recognizes that there are no real substitutes for some ingredients, like saffron. Instead, it offers a tip for omitting it from recipes: Add a touch of turmeric for a similar color. Also, just because these replacements are more affordable doesn’t mean they’re cheap. 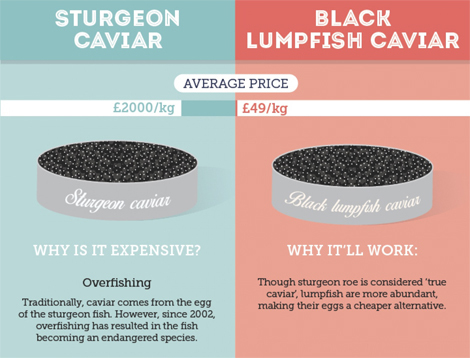 Black lumpfish caviar is £49 per kilogram, or about $76, according to the infographic. If your dinner guests turn up their noses at it because it’s not sturgeon, you might want to stop inviting them around. 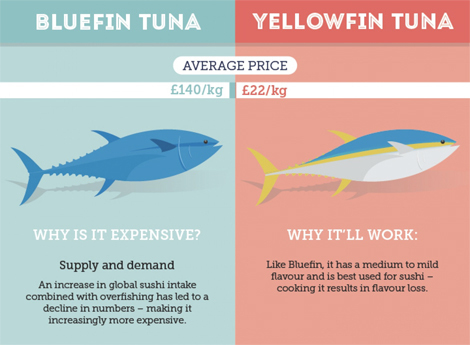 Check out the entire frugal foodie list below, or view it on the QuickQuid website. 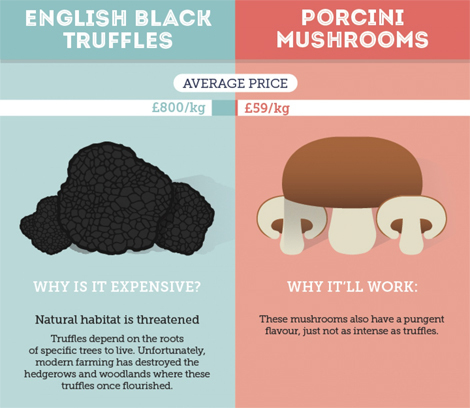 RELATED: Why Does Truffle Oil Exist?